The purposes of In His Image International’s Crisis Relief efforts are to both provide hope and to relieve pain and suffering of those in immediate need due to the destruction caused by natural disasters in third world countries. IHII exists to train and mobilize healthcare professionals so that they are empowered to impact their nation and the world by improving health and meeting the needs of the underserved. The outreaches of In His Image International (IHII) are conducted in countries including Afghanistan, China, Egypt, Iraq, Kyrgyzstan, Kazakhstan, Mongolia, Tajikistan and Ukraine. IHII values medical education and is currently partnering with family medicine residency training programs in Afghanistan, China, Egypt and Kazakhstan. You can help bring hope and life-changing compassionate healthcare to men, women and children in lesser developed countries by contributing to In His Image International. In His Image International (IHII) is a public charity under section 501(c) (3) of the Internal Revenue Code. Contributions to IHII are tax deductible per the IRS letter of determination issued to the organization. This non-profit follows the Donor Bill of Rights created by the Association for Healthcare Philanthropy and others. 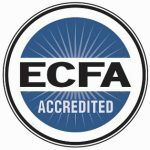 IHII is also accredited by the Evangelical Council for Financial Accountability for complying with established standards of governance, financial management and stewardship.